A longtime activist and patient, Dani Geen is an expert in cannabis concentrates and the healthful aspects of ‘dabbing.’ As a member of the executive team at Harborside Health Center, Dani is privy to the latest products and methods of consumption on the market, and to the evolving science of cannabis medicines. 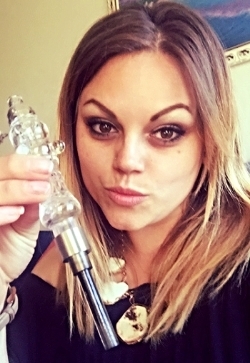 Now ready to share what she’s learned, Dani hopes to remove the stigma of dabbing, and educate other patients and adult-use consumers on its many benefits compared to other methods of consumption. Sign up with your email address to receive news and updates regarding Dabbing For Wellness concentrate events!